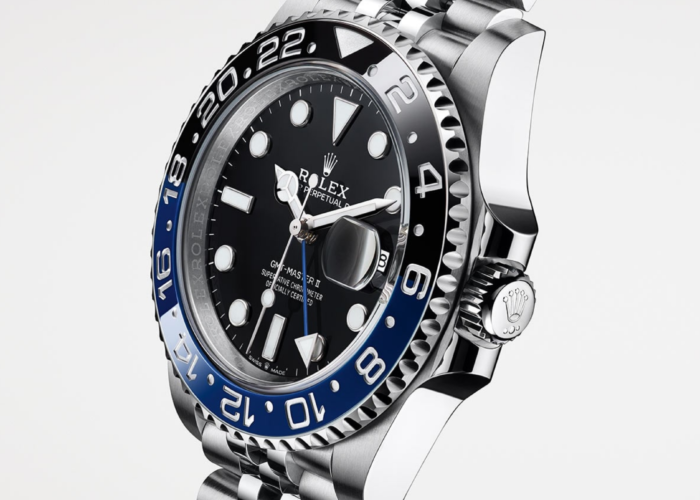 The big surprise from Rolex this year is a new Yacht-Master 42 in white gold. 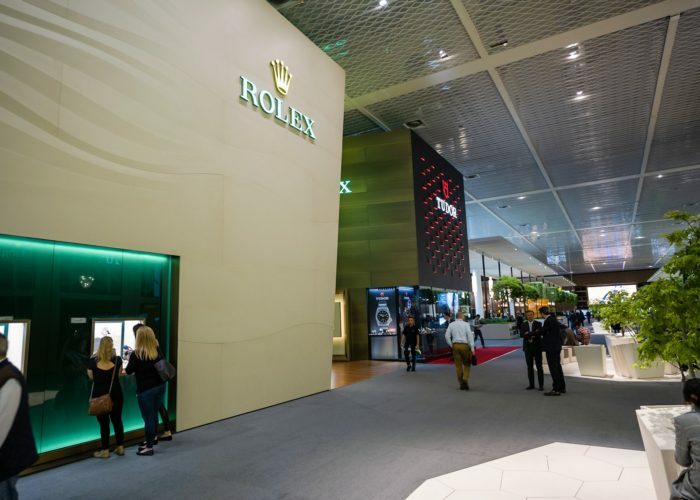 The speculation can finally rest, Rolex has introduced their latest offerings today in Basel and chief among them is a new Yacht-Master 42 in white gold, on an Oysterflex strap. It’s an unsurprising release, even if a bit unexpected. 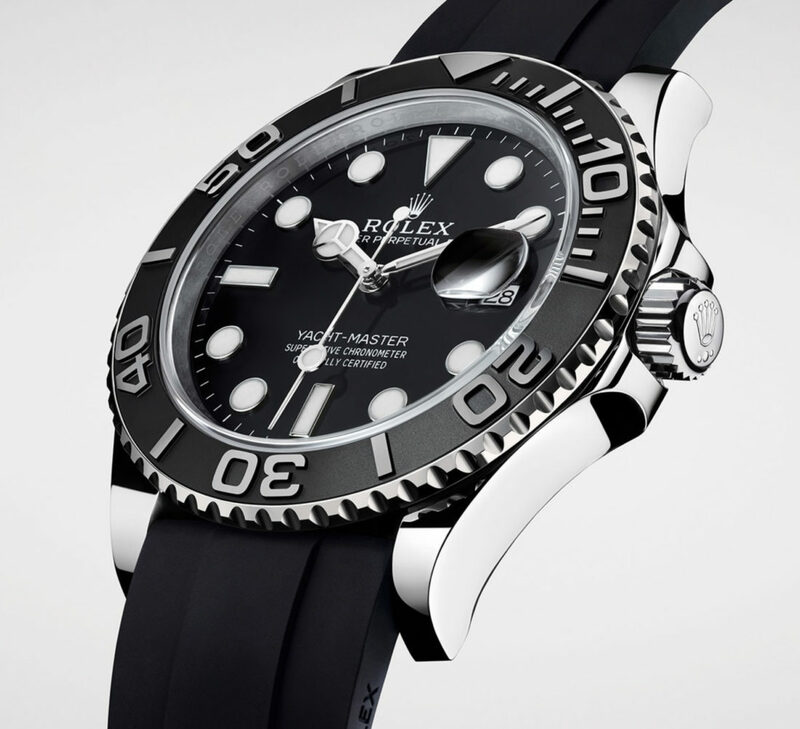 The new Yacht-Master fills a demand for a larger, flashier Submariner without compromising the Submariner name. Think of it like this; the Panamera is to the 911, as the Yacht-Master is to the Submariner. 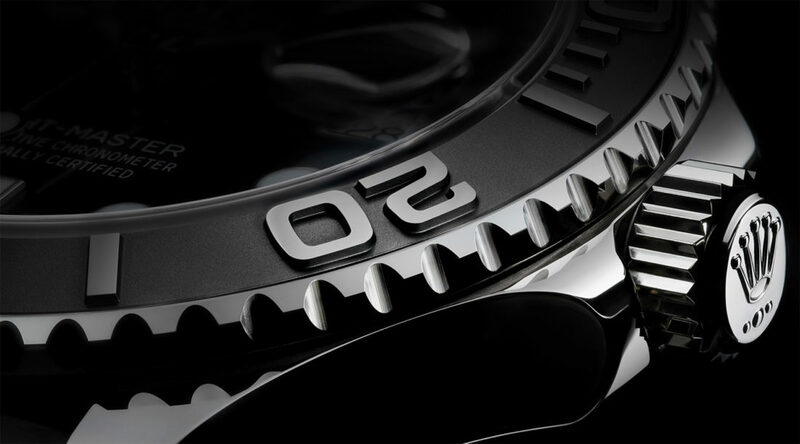 The Yacht-Master 42 features a case constructed of 18k white gold straight from the brand’s own foundry. There’s not a brushed surface in sight, as you might expect, and this works in contrast to the matte black ceramic bezel, which is quite interesting in its own right. The base of the bezel is matte Cerechrom, and features a textured surface that looks bead blasted. 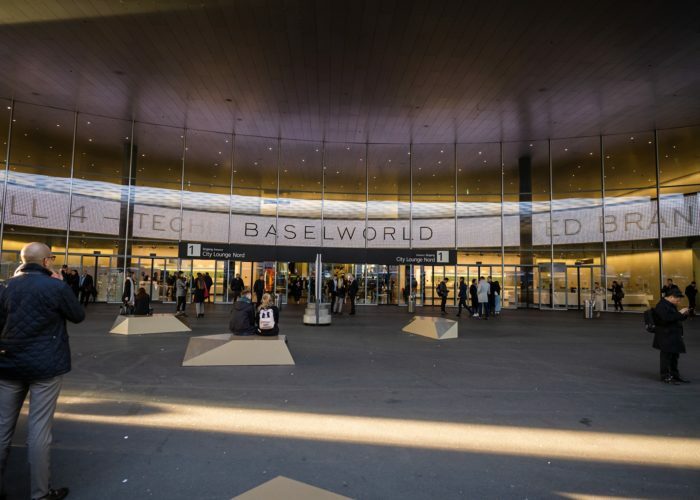 Out of this are raised numerals which have a polished surface. We’ve seen this execution before on the 40mm rose gold Yacht-Master, and it’s a welcome sight here, serving to balance out the glossy dial and polished case. 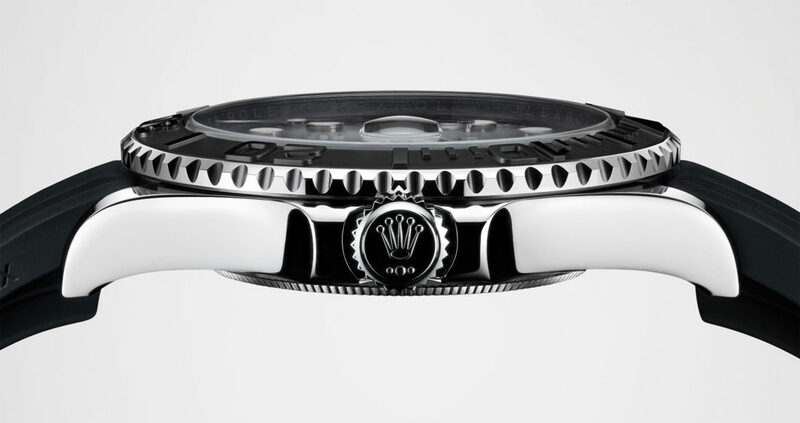 The case is mated to a rubber Oysterflex strap, something Rolex reserves only for its precious metal sport models. It’s comfy on the wrist and fits right in on this application. The case may be a tad bigger than we’d have hoped for, but it does look quite thin in profile which, coupled with the Oysterflex, should make this easy to wear. Inside the Yacht-Master 42 beats the latest generation caliber 3235, a certified chronometer that we expect to see rolled out to additional models in the coming years, namely to the Submariner family. It’s a robust movement that’s accurate to within +/- 2 seconds per day. We reviewed last year’s BLRO with the same movement, where we detail more of its features and astounding accuracy. Pricing for the new Yacht-Master 42 reference 226659 is $27,800. Shop last year’s release right here on StockX in the meantime.